A simple card today as it's Simple Sunday. 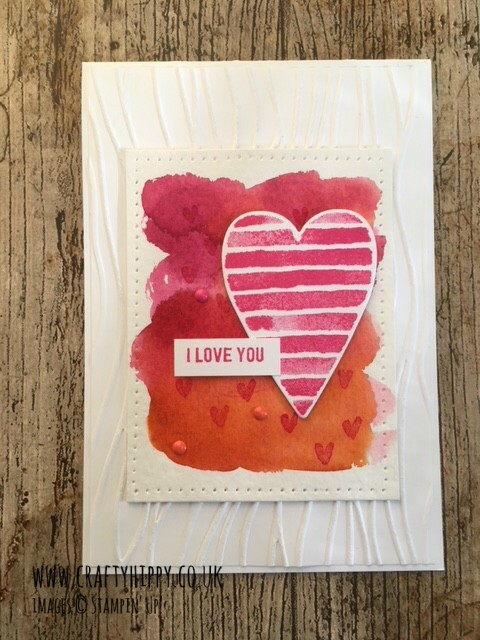 I have chosen a project using the Heart Happiness stamp set which is suitable for any occasion. Followers of this blog know how much I adore this lovely stamp set. It is great with alternative or unusual colour combinations. Hearts does not have to mean pink and red! Although in today's case it does mean pink and orange. 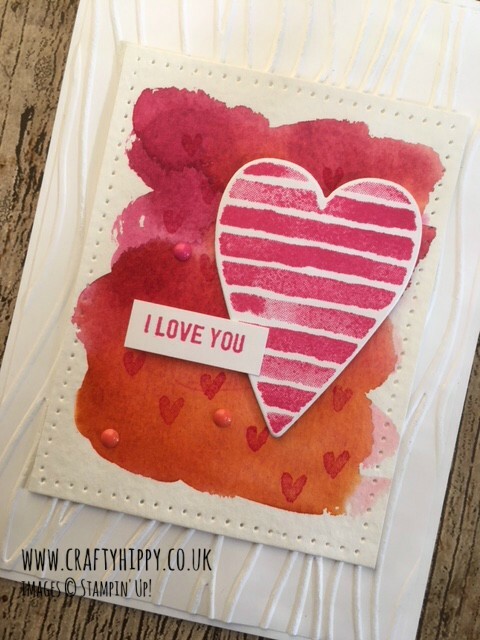 Pair this stamp set with any colour to create beautiful heart cards and scrapbooking projects that are really bold and striking. 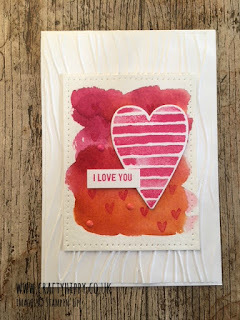 Check out the other Berry Burst Heart Happiness Card I made earlier in the month, and a Pacific Point Heart Card. I think a monochrome black and white heart card could be good. Perhaps with silver or gold tones. Have a good look around this website using the labels on the right to find a plethora of Stampin' Up! ideas.